As the Kanga Remote TR825 sales build momentum it shows the commitment provided by Kanga Loaders to provide a reliable, trusted unit to be used in hazardous areas around mines removing waste and spillage primarily from underneath conveyor belts, crushers and around car dumpers. Recently Aaron Brendon, Director, of Remote Kanga Australia , who recently purchased a new remote stated. ?That after years being associated with the Kanga Loaders he was very impressed with their reliability and durability in handling harsh operating environments?. He also added ?We felt confident about Kanga, mainly due to our operators experience which confirmed far greater availability and greater cycle times over other models on the market.? Cleaning up in difficult areas is still often performed by manual labourer exposing workers. The TR825 has the ability to eliminate traditional work methods of manual labour and will not only do your job quicker and safer, it will also save you time and money. 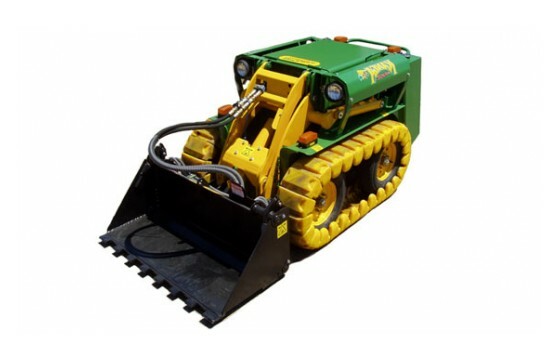 Kanga?s radio controlled mini loader is a clear leader when it comes to accessing or cleaning spoil in tight, hazardous and confined spaces. Most traditional remote machines have been designed for a single purpose. The TR825 offers a multitude of attachments that ensures maximum utilisation for the life of the machine.